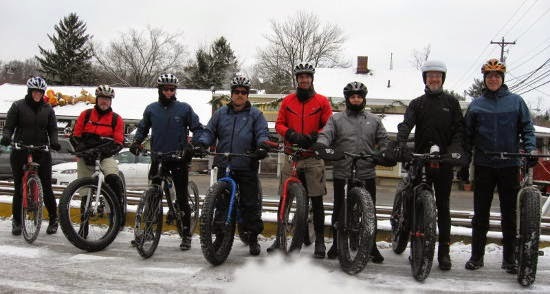 December 6, 2014 is the THIRD annual "Global Fat Bike Day." All fans and owners of snow bikes/fat bikes around the world are encouraged to plan rides, get together and admire each other's bikes, take pictures, and share the joy of snow biking! We'll start our ride from the parking lot of Century Cycles in Peninsula at 8:00am, and hit the Ohio & Erie Canal Towpath Trail. Coffee and donuts provided in the store afterwards! If you don't have a fat bike, bring your regular mountain or 'cross bike, and we can compare how each one handles!